Several changes made to key administrative and trustee positions. Cazenovia, NY (July 27, 2016) – Cazenovia College announces several changes to key administrative and trustee positions at the advent of the 2016-17 academic year. These include the following. Ron Chesbrough, Ph.D., is the new president of Cazenovia College, most recently serving as the president of St. Charles Community College located in the greater St. Louis, Missouri, region. Chesbrough, a native of Upstate New York, also served as vice president for student affairs at Hastings College in Nebraska and as dean of students at Johnson State College in Vermont. David Bergh, Ed.D., has joined the college as the vice president for planning and institutional effectiveness. Bergh comes from Johnson State College, where he was the dean of student life and college relations. In addition to the core functions of planning, compliance, accreditation and institutional research, he will also oversee the equine and theater operations as well as athletics and recreation, human resources and campus safety. Deborah Frank, N.P., will serve the college as the new director of health services. She comes from Syracuse University, where she worked as a nurse practitioner for the past 13 years. Suzanne Odell has filled the position of executive administrative assistant in the President’s Office. She was previously employed by Morrisville College and Colgate University in various support roles including serving in the Registrar’s Office, Academic Affairs, and for the Dean of the College. Patrick Quinn will serve as the new vice president for enrollment. Quinn was a senior admissions officer at both private and public institutions throughout the Northeast, most recently with Hilbert College in suburban Buffalo. Sara Phillips, Ph.D., is the director for institutional research and assessment. She comes to Cazenovia from Hopkinsville Community College in Kentucky where she was the director of institutional effectiveness. Pete Way, a 2003 graduate of Cazenovia College, has been promoted to the role of director of athletics and recreation. Way has worked for the college since 2006, as director of the Cazenovia Fund, followed by senior associate director of athletics. Throughout his tenure with the college, Way has served as head baseball coach. 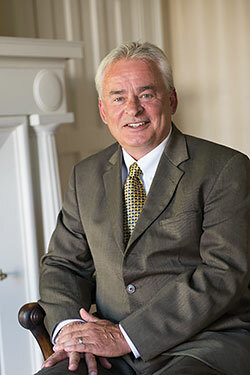 Leading the college’s board of trustees as chairman during the 2016-17 academic year is Richard L. Smith. He is joined by John A. Bartolotti, vice chair; William B. Eberhardt, secretary; and Connie M. Whitton, treasurer.